We believe that our values underpin our business success, providing a sustainable foundation for growth. Our values permeate all aspects of our activities and are reflected in a business culture that promotes quality of life, delivers sustainable social and environmental management, honours all contractual obligations, and fosters loyalty among our employees, partners, clients and shareholders. Corporate governance remains a dynamic issue that requires ongoing implementation and must be embedded in an organisation’s culture. At GladAfrica, we recognise that as we grow and evolve our corporate governance practices need to develop as well. Taking cognisance of our desire to improve our corporate governance practices, a board restructuring process was undertaken in 2014. The board also makes use of the expertise and knowledge of external and internal invitees, resulting in eight board-meeting participants in total. In addition, a legally qualified company secretary has been appointed to oversee and offer advice to the group. GladAfrica is committed to interacting constructively with its stakeholders and remaining socially relevant. This is critical to sustaining the group’s success. The group’s stakeholder management approach involves the optimal application of the organisation’s resources to build and maintain good relationships with its stakeholders. This helps the group to understand the expectations of society, minimise reputational risk and form strong partnerships, all of which underpin our business’ sustainability. Noel has more than 14 years’ business management, business negotiation, brand building and business development experience, all at a senior level. Prior to establishing GladAfrica he participated in the establishment of businesses within the petroleum industry as well as consulting firms, constructing unique teams to manage complex projects. Noel Mashaba is the founder of GladAfrica Group (Pty) Limited and executive chairman of the GladAfrica Group’s board. Kulani is a graduate of Wits Business School (Management Advancement Programme), UCT’s Graduate School of Business (Property Development Programme) and the Gordon Institute of Business Science (GIBS) (Leadership Development Programme). He has been the group CEO for GladAfrica Group since 2012. He has extensive experience at a leadership and management level gained during his time in the commercial property industry. He entered the property industry working for Drake & Scull facilities management, overseeing properties on behalf of Old Mutual Properties and Standard Bank. He then went on to work at Investec Property Group in 2005. Kulani was part of the Investec Property Management team which was acquired by GrowthPoint Properties to form GrowthPoint Management Services. 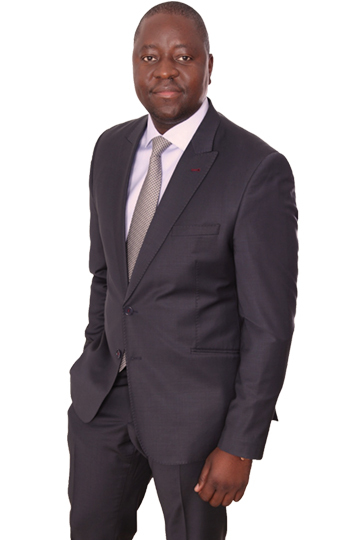 Before joining GladAfrica, Kulani worked at GrowthPoint as the head of facilities management and procurement. He has more than 14 years’ experience at both an operational and strategic level. Since beginning his career with BKS in 1973, Gerhard has gained more than 40 years’ extensive engineering and project management experience, including the design of a major arterial road in Gauteng and the construction of the George Airport, as well as assuming the role of Resident Engineer for major multi-disciplinary projects in Namibia. For 20 years, Gerhard acted as Design Engineer/Project Manager and Business Unit Manager for the Eastern Cape provincial government and was a member of the BKS board, until the 2012 takeover by AECOM. Gerhard has served as Chairman for the Port Elizabeth branches of both the South African Association of Consulting Engineers and the South African Institution for Civil Engineering. He also played a significant role in a number of large-scale projects, including serving as Programme Manager for the 2010 FIFA World Cup Host City business plan, as well Management Advisor for the NMBM Integrated Public Transport System. Pretoria and holds Bcom (Accounting Sciences), Hons BCompt from University of South Africa and MDP from University of Stellenbosch. the Transformation Committee, the Brand Council, the Strategic Investment Committee and Audit and Risk Committee. methodology for the Finance Control Initiative for Old Mutual Plc in the UK. Moses has more than 20 years’ commercial experience, serving as a corporate executive in the banking, logistics and transport sectors. 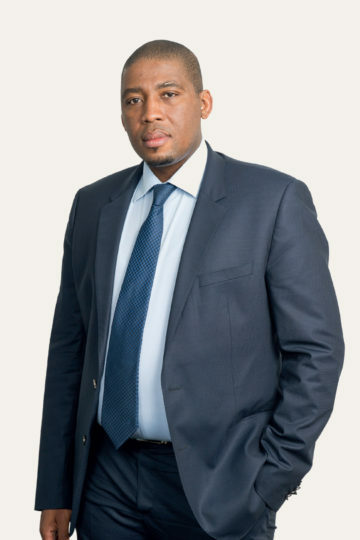 In 2004, Moses was appointed as Managing Director of Nomakanjani Logistics and tasked with the strategic growth and development, and establishment of operations for the company. He handled logistics for Statistics South Africa in their execution of the South African Census and has served as Logistics Manager for the Department of Home Affairs and Provincial Departments of Education. Moses has also served as deputy chairperson, as well as Provincial Executive Committee member of the Black Management Forum, assisting in starting and developing small businesses. Moses has been a director of several companies in the Liviero Group, which services the contract mining, civil and construction markets. Moses holds an ACIS, H Dip. Company Law from Wits and an MDP from Manchester Business School. Ntwanano Mashaba is a qualified Chartered Accountant with a wealth of auditing and accounting experience both in South Africa and abroad. in 2007 and qualified as a Chartered Accountant in 2010 when she also became a member of South African Institute of Chartered Accountant (SAICA). Programme at the University of Pretoria’s Gordon Institute of Business Science (GIBS). Sigi is a registered Professional Construction Project Manager, who has worked throughout South Africa. He began working with Murray & Roberts (Cape Town) in 1984 as a quantity surveyor and by 2003 held the office of Procurement Director for Murray & Roberts Construction. Throughout his tenure at Murray & Roberts, Sigi gained experience in an array of fields, serving as Commercial Director and Business and Development Director for Murray & Roberts Western Cape, as well as Director of Murray & Roberts Properties. In 2005, he founded Ariya Project Managers and has since served as their Managing Director. Sigi has been involved with numerous high-profile projects. He worked as Principal Consultant for the as Project Leader for both the construction of the First National Bank New 5 Green Star Rated Contact Centre and the redevelopment of the Computational Science Complex for the University of the Western Cape. Most notably, Sigi served as project management team member on the construction of the Cape Town Stadium in Green Point, one of the host venues for the 2010 FIFA World Cup, and the development of the Integrated Rapid Transport System in the Cape Town CBD. Sigi holds an MSc in Project Management from the University of Cape Town and a Diploma in Quantity Surveying from Peninsula Technikon. Kulani holds a BTech in civil Engineering from Technicon Witwatersrand and Graduate Diploma in Engineering from Wits University. He is currently studying towards obtaining an MSc civil Engineering at Wits University. He is registered with ECSA as a professional Engineer Technologist and also with SACPCMP as a professional construction project manager. He has more than 15 years’ of experience in the construction, consulting, development and local government sectors. Recognised as project leader of the year by Ekurhuleni Metropolitan municipality in 2007. Kulani has also served as a Divisional Head in the Enterprise Project Management office Department for Ekurhuleni Metropolitan Municipality, Programme Manager for DBSA, Senior Technologist for Aganang Consulting Engineers and Site Agent for WHBO. Prior to joining the GladAfrica team, Kirsty completed her articles and started her career as an attorney at Schindlers Attorneys, focusing on commercial law. As corporate services director and company secretary, Kirsty oversees the group’s contractual and legal matters, B-BBEE compliance, corporate governance, and statutory compliance.